In the last article, we discussed the benefits of short-term stress. Definitely, stress is one friend we need to improve our productivity and concentration. Short-term but significant level of stress prepares your body for fight or flight mode. Unfortunately, chronic stress isn't good for us. A prolonged exposure to long-term stress can affect you in multiple ways. It's important for an individual to know the reason for stress that is creating the mental and physical problem. Stress is the reaction to the stressor. It's important for you to understand the difference between stress and stressor. I have seen a lot of people getting confused between stress and stressor. Always remember, stress is the response and stressor is the cause. We will try to answer two of these questions related to vision problem by the means of this post. 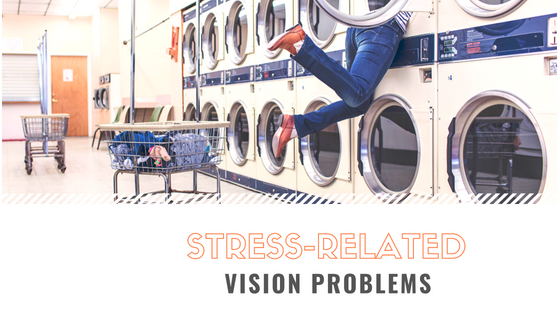 Can stress cause vision problems? Can you go blind from stress? How can stress affect your vision? Whenever we get stressed, our body releases adrenaline and cortisol to encounter the perceived threat. In case of prolonged stress, the level of adrenaline and cortisol remain high for a longer period of time causing pressure on the eyes and thus, resulting into blurred vision. Eyestrain is a common problem among people with a long-term anxiety problem. I will recommend you to use Breo eye massager. I have personally used it. Central Serous Retinopathy: It is believed that stress is one of the factors behind this disease. 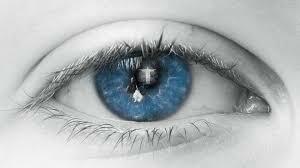 A person suffering from this disease will find the retina of the eyes filled up with the fluid. As the fluid is build up in the retina, it will start to lead from the blood vessels under the retina. Further, the studies have found that the individual with a personality "A" traits suffers a lot from this disease. The age group most affected by this disease is between 20 and 50 years. A majority of victims of this disease is found to have been under prolonged stressful conditions. 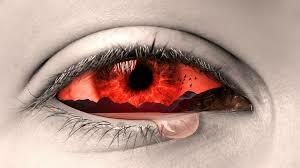 Myokymia: This disease is popularly known as "eye twitching". The twitching generally occurs in the lower eyelid. Some twitching last for a few seconds while other lasts for hours. According to a new study published in the EMPA journal, mental stress can be a cause and consequence of the vision loss. Prof. Bernhard Sabel, director of the Institute of Medical Psychology at Magdeburg University in Germany led the research. In the research paper, it has been clearly mentioned that the prolonged and persistent stress can raise the level of cortisol and damage the vascular and sympathetic vascular system. The worst part is this, in turn, affects our eyes and brain leading to diseases like glaucoma and optic neuropathy. Glaucoma can ultimately lead to complete vision loss. Some studies suggest that by reducing the stress, vision can be restored. So, in case you are the one suffering from chronic stress then it's a good news for you. Before we move further, let's have a look on some of the handpicked articles. All these articles talk about the ways to relieve short-term as well as long-term stress. There has been an instance when you may have to take help of stress balls, coloring books, tea etc to relieve your stress. Can stress cause pain in the eyes? Definitely, eye pain can be a result of stress. Since stress and eye pain aren't directly related. So, most of us think that stress has nothing to do with eye pain. Stress causes migraines and which further leads to a headache, eye pain etc. Most eye pain or other eye issues caused due to stress are temporary or short-lived. In case you are having a problem with your eyes on a regular basis then, trust me, stress has nothing to do with your eye problem. Let's discuss some of the eye problems related to stress one-by-one. Tunnel Problem: A loss of peripheral vision and make you feel like you only see in front of you. Light Sensitivity: You may feel that your eyes are not comfortable in front of the bright light. Extremely Dry or Wet Eyes: Both of these are extreme situations. Either your eye will become dry or wet when you encounter an extremely stressful situation. 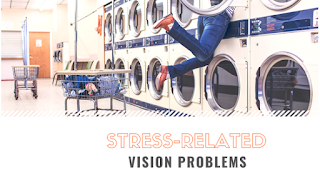 Blurry Vision: At times, a blurry vision has been considered a symptom of stress but the point to be noted here is the severity quotient of the blurry vision. Blurry vision caused due to stress will be mild and not severe. Eye Strain: A stress can cause eye strain but at the same time eye strain can be a result of something very simple like staring at the computer screen for a very long time. Eye Floaters: Stress can cause eye floaters. These eye floaters are tiny spots that float across swim across your vision. Generally, these problems aren't very severe. Most of these problems will come and go if it is related to stress. The intensity of these problems totally depends upon an individual's immune system response to the stress. I will suggest you consult a doctor in case these problems persist for a longer period of time. In case you are a regular reader of this blog, then, you must be knowing that stress can put your body in fight or flight mode. The reason is to encounter any sudden threat. So, for the first time readers, I will just try to explain the entire phenomenon. When you encounter a stressful situation, your body produces a high level of cortisol aka "stress hormone" and adrenaline hormones. These hormones put your body in fight or flight mode. As a result, the brain will cause your pupils to dilate. Can you guess, why the brain dilate your pupils? The reason is very simple. By doing so, the brain wants your eyes to receive more light to clearly see any potential threat. However, a continuous exposure to the stressful situation can make your eye very sensitive towards light and may lead to serious strain on your eyes. Moving further, Let's discuss some of the ways to get relief from eye strain and other eyes related problem caused due to stress. Conclusion: Stress related vision problems shouldn't be taken lightly. If the problem persists for a long time, you should consult the doctor.